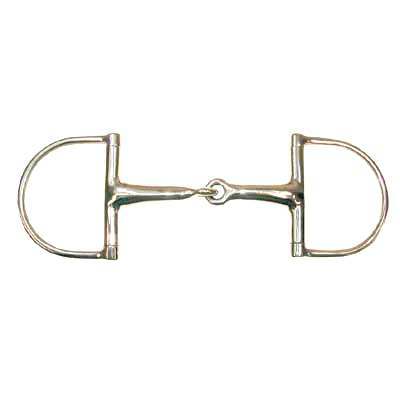 These Hollow Mouth Dee Ring Snaffle Bit items are made of only exceptional quality materials. When buying a Hollow Mouth Horse Bit from us rest assured you are getting a great product at unbeatable pricing. This Horse Bit measures 2.375''x 3.125'' rings. These Dee Ring Snaffle Bits are also perfectly designed to place pressure across the mouth. When buying a Hollow Mouth Dee Bit from us you can rest assured that the product you are purchasing will be made to last.